We were looking forward to getting to Asia after more than two months and over £7,000 spent in Australia and New Zealand. 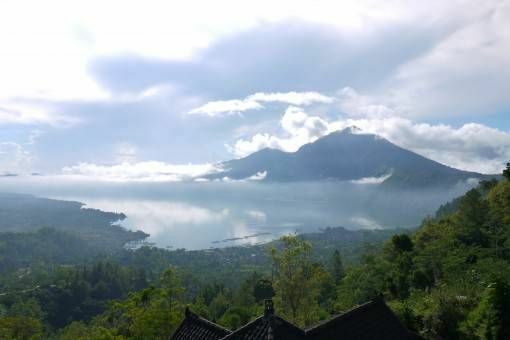 Before we arrived we had set ourselves a budget of about £30 per day for backpacking Indonesia (along with the rest of Asia – a little naïve no?). 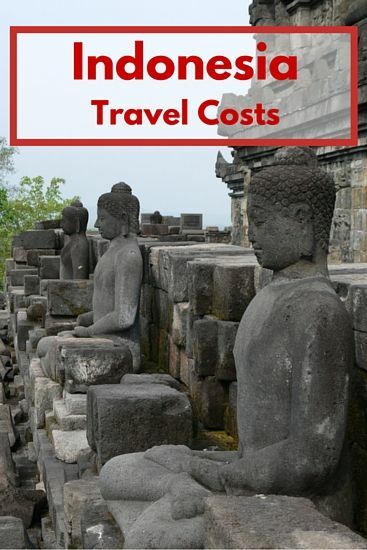 So, we were ready for our costs to dramatically drop from here-on-in but how much did it really cost to travel Indonesia? We slowed down quite a bit in Indonesia and our activity costs were reduced by a huge margin in comparison to the first two countries we visited. This was not only because it was a cheaper country to travel in but also because we became travel budget fanatics; trying to stick rigidly to spending £30 per day. We were planning on going as far as Komodo Island to see the Komodo dragons, but we waited too long to book any flights and so the prices went up so much that we decided against that trip. Nevertheless, we still did some exciting things; we visited Mount Bromo in time to see the ‘sunrise’, cycled around Bali and got chased out of the Monkey Forest in Ubud. We knew that Indonesia hotel prices would be much lower than in New Zealand and Australia, we were hoping to spend as little as £10 per day there. We spent a little over this even though we only stayed in a couple of comfortable places which had air-con, wifi, clean bathroom and kitchenette; the majority of places we stayed in were basic, often with fans and no hot water. As you would expect, the higher accommodation costs were in touristy Kuta, Bali, while we were actually able to spend very little in Jakarta because we booked through AirBnB. On the Gili Islands we kept costs down by not forking out for air-con or hot water, and managing on simple fan rooms like we did in Ubud; anything fancier seemed to double our budget. I’m certain that if you’re not a fussy eater then you can eat really cheap in Indonesia. If, however, like us you like to wake up without a dodgy stomach or you don’t eat meat, then you may want to spend a little more to lessen the risk of food poisoning. There are many street vendors selling nasi goreng, mie goreng, ayam goreng (fried rice, fried noodles, fried chicken) amongst many other popular dishes but since our stomachs aren’t used to that type of food, especially cooked in questionable conditions, we tended to eat in restaurants more and whenever possible cook our own food (not very often). We did receive free breakfasts in most of the accommodation we stayed in, consisting of mostly pancakes, jaffles, which are toasted sandwiches, or eggs on toast. We were disappointed to find that pretty much all the bread in Indonesia seemed to be sweet, whether it was filled with chocolate or cheese, it always had a sweet and buttery taste like brioche which made breakfast less enjoyable. Over six and a half weeks we managed to keep our daily food costs down to under £10 (under £5 each!). This is pretty cheap, although it wasn’t great for our health; on travel days we simply ate snack food (crisps, biscuits, crackers), we hardly managed to eat any fruit, skipped meals and spent more time in fast food restaurants than we have ever done in our lives! Over six weeks in Indonesia we sped out of Jakarta and across Java to Bali, then Lombok and the Gili Islands before heading back to Bali, a total of roughly 1,000 miles. We actually only scratched the surface of this beast, there’s a lot more to see in Indonesia if you have the time and budget. In the last two countries we visited our transport mainly revolved around our hire car; we weren’t crazy enough to try and drive in Indonesia though! We didn’t even want to get a scooter to zip around on, we knew this would be a bad idea and we would probably end up sprawled across the road or in a ditch somewhere since we’ve never driven one before and the roads are havoc (and the ditches here are really smelly sewers!). We seemed to have a few extra miscellaneous costs for Indonesia, due to the fact that we went shopping for clothes and a few presents. 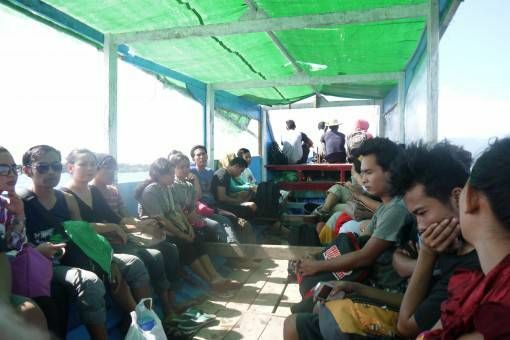 We also spent money on laundry, toiletries and suncream which was more expensive on the Gili Islands, so make sure you stock up on that type of thing before you set off. From an original budget of £30 per day, we didn’t do too badly; our mistake was trying to stick to it too rigidly causing us to eat unhealthily and sometimes not eat at all. In the future we need to gauge our costs when we arrive in a new country and then work out what our budget should be, not come up with a budget and try blindly to stick to it. Lesson learned. As you can see our daily cost of travelling in Indonesia for six and a half weeks was £36 for two people (£18 each! ); we think that’s pretty good but we won’t be attempting such a rigid budget again. So, next up is an unscheduled stop in Malaysia, since this is a change of plan we are not certain exactly what our budget will be like, but we will test the waters and come up with a more appropriate one. We’ve heard and read great things about Malaysia and we’re not entirely sure why we didn’t consider it in our original plans – we’re excited to see what it’s like for ourselves! We track all our costs using the fantastic Trail Wallet app. Here’s what we spent in Australia and New Zealand. Great round-up guys and I think considering that you spent most of your time in the most touristed part of the country, you really didn’t do badly at all given your budget. It’s definitely times like these that I’m happy Tony & I are adventurous eaters and don’t mind eating street food because you’re right that eating what and where the locals do will definitely help keep costs down. One thing I’ll also mention, which I’m sure you know but that bears repeating because it’s easy to forget is that in order to meet your budget, you don’t have to come in under that number every day! The beauty of averages is that if you go over your budget by $5 one day (or even $50! ), that doesn’t mean your budget is shot, because you will surely have low-key days where you come in under it. On travel days and the like, we always expect we’ll be slightly over whatever budget we might have set for a country, but that generally always balances out on the days where we’re just hanging out! Thanks Steph, I hope you found some of the cost info useful for your trip to Indonesia. There are plenty of times when Andrew gets exasperated with me for being such a picky eater; I know we could save money if I was a bit more adventurous, I’m hoping I’ll become so over time as we travel. It definitely is worth repeating that you don’t need to come under budget every day, our travel days are always the most expensive too but then we have days where we’re not doing much (usually recovering in a hotel) and we save money there. Great breakdown however I just don’t understand why you would ever travel on a strict budget like that. It just seems insane to me. Why would you want to struggle and think about small costs. I understand being a bit frugal, bargaining, taking public transport at times but to deny yourself meals and simple pleasures to stay on budget is silly. I think all of you who do this miss a lot of the best parts of traveling. You focus too much on budget and just traveling places almost for just the sake of it. To say you have been there. Never staying long enough in one place to really take it in. Just the tourist sites, on another bus or plane and to the next place, always rushing. Most of you looking dirty, backpack on, and your always so cheap. I’m embarrassed a lot of the time. For a few dollars or as I see it you daily Starbucks when home you can stay on 3 and 4 star hotels and eat better. Save a bit more at home. Cut out unneeded daily habits at home that help. I enjoy and eat a lot of street food but I also eat whatever and whenever I want. Part of the fun is to have no worries and try new things. For 50 dollars a day you open up a whole new world of fun and adventure. Traveling as a couple already saved you money as you can share price of room. Live a lil. I’m sorry for ranting and raining negativity down on your very helpful budget post. Thanks for your comment. 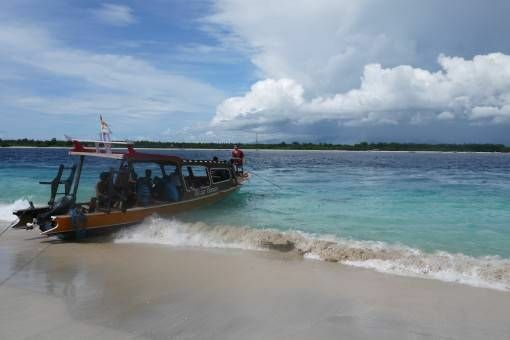 Travel is a learning experience for us and we quickly discovered in Indonesia (which we visited at the beginning of our trip) that we were crazy to be so strict with our budget, in fact I wrote a post about this at the time, The Travel Budget Fanatics. Since then we’ve travelled with a more flexible budget. I would take care not to make sweeping generalisations and judgments about people if I were you though, such as assuming that all backpackers are dirty and that to spend just a couple of weeks in a country is somehow ‘wrong’. There is no ‘right’ way to travel (as long as you’re not harming people or the environment or culture) and people have different levels of comfort and money to travel with. On our part we’re not ‘dirty’ and we don’t just whiz through countries to ‘say we’ve been there’, we’ve spent months living in working in Vietnam and rented apartments for a month at a time in Thailand; we’re now spending three months exploring a small part of America. We also work hard to save money for our trips and we’ve never had a Starbucks habit! I really like posts like these; so useful for planning a trip! However, I think some of the numbers in the final table must be misplaced; you can’t have spent £272.75 PER DAY on accommodation, can you?! This is great. I am just sitting down to figure out our 6 weeks in Europe. We just arrived home today and just wanted to be sure I have it all documented. Then I will take the time to do something similar to what you have here. 🙂 Thanks for sharing, just in case we make it over to SE Asia this is helpful. Hi Heidi, glad you found it useful. I look forward to seeing your Europe costs as a guide for when Andrew and I plan to travel there next summer! Great round up! I have a flight booked to Bali in a few weeks and this is really super-duper healpful!!!! 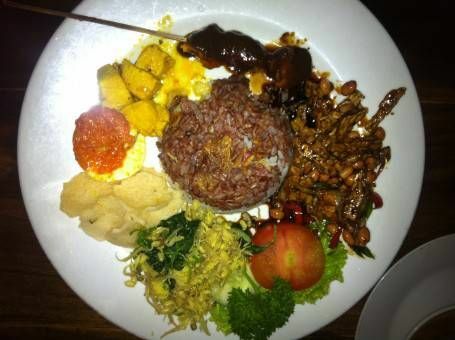 Thanks Helen, I hope you have a great time in Bali – be sure to check out Ubud, it was our favourite place in Indonesia! I’m going to be keeping everything in mind especially the cycling. We’re going to be going to Bali:Ubud in the summer. It’s been 16 years since I last went to Bali so more recent info is always appreciated. You did a fine job keeping within budget in Indonesia. Nice one! Hi Rigel, we staying in mid-range hotels while we were in Indonesia except for Jakarta when we booked through Air B&B. We mostly found places on arrival and prices were pretty cheap, as you can see from our costs above. me and my partner are travelling indo soon and wondering how easy it was to obtain a 6 week visa? Hi Bex, we got a 60-day visa from the Indonesian embassy in London before we left for our trip. It was pretty easy, we filled in the forms, paid the £35 per person fee and returned five days later to pick up our passports with the visas in. Have a great trip! Thanks so much guys, this is really helpful. I’m considering a three week to Indonesia, cheaper for me to fly into Jakarta from Dar es Salaam but would like to be exploring Bali and other islands due to my time consideration. Is it worth training it through or would you advise catching a flight straight out of Jakarta airport? In a bit of a pickle with this one. Hi Rebecca, thanks for reading and commenting. If you don’t have much time I’d really recommend flying straight to Bali, you can get some cheap deals and you’ll save lots of time. The train is very long-winded and to be honest, Jakarta isn’t the best welcome to Indonesia in my opinion, Bali is a much softer landing! Have an awesome trip! How do you convert their money to American. I’m doing a research project for language arts and I don’t understand how to convert their money? Hi, you can use an online currency converter tool to work this out; search ‘currency converter tool’ into Google and you should find something. Good luck with your project. Just come across your blog and all your costs are super helpful. My husband and I have done nowwhere near as much planning as you have but want time out from London life and will be hitting the road in the next couple of weeks. You mentioned that the £36 per day you spent was prohibitive. On reflection, do you have a suggested amount that you think might have been more comfortable for us to use as a ball park? We are happy to eat on the cheap but would rather over- rather than under-estimate costs to begin with? More broadly, could you give an average daily cost across Southeast Asia that you think would be comfortable based on your experiences?